Mehida Salkicevic is a Bosnian immigrant to the United States who became a naturalized U.S. citizen. She was arrested and charged with providing material support to ISIS. Salkicevic, a mother of four, is accused of soliciting funds and sending money to ISIS fighters in Syria and Iraq.“Rockford Suspect in Terror Funding Case Arrested in Germany,” WIFR, February 11, 2015, http://www.wifr.com/home/headlines/Rockford-Resident-Charged-with-Conspiring-to-Support-Terrorists-291123351.html. According to the indictment, Salkicevic and five other Bosnian immigrants allegedly plotted over Facebook, email, and phone to support foreign fights in Syria. They allegedly sent money through PayPal and Western Union, and shipped military equipment through the U.S. 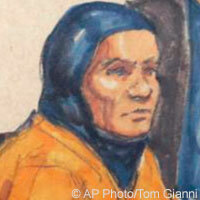 Postal Service.Michael Tarm, “Illinois woman accused of aiding extremists appears in court,” Associated Press, February 9, 2015, http://bigstory.ap.org/article/3341e34753a6496586b6d4c5b50b616b/illinois-woman-accused-aiding-extremists-appears-court. Salkicevic worked as a cargo handler at Chicago’s O’Hare International Airport. Prosecutors warned that Salkicevic, whose mother and three sisters still live in Bosnia, is a flight risk.Michael Tarm, “Illinois woman accused of aiding extremists appears in court,” Associated Press, February 9, 2015, http://bigstory.ap.org/article/3341e34753a6496586b6d4c5b50b616b/illinois-woman-accused-aiding-extremists-appears-court. She could face up to 30 years in prison.Michael Tarm, “Illinois woman accused of aiding extremists appears in court,” Associated Press, February 9, 2015, http://bigstory.ap.org/article/3341e34753a6496586b6d4c5b50b616b/illinois-woman-accused-aiding-extremists-appears-court. Medy Ummuluna“United States of America Plaintiff, v. Ramiz Zijad Hodzic et al.,” United States District Court Eastern District of Missouri Eastern Division, February 5, 2015, https://edit.justice.gov/sites/default/files/opa/press-releases/attachments/2015/02/09/certifiedcopyofindictment_comp.pdf. Bosna Mexico“United States of America Plaintiff, v. Ramiz Zijad Hodzic et al.,” United States District Court Eastern District of Missouri Eastern Division, February 5, 2015, https://edit.justice.gov/sites/default/files/opa/press-releases/attachments/2015/02/09/certifiedcopyofindictment_comp.pdf. Mehida Salkicevic is a Bosnian immigrant to the United States who became a naturalized U.S. citizen.